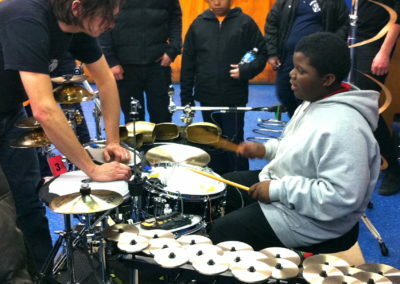 Each year Intonation will honor a member of the community who has gone above and beyond in amplifying youth voice, opportunity, and creativity across the city of Chicago. 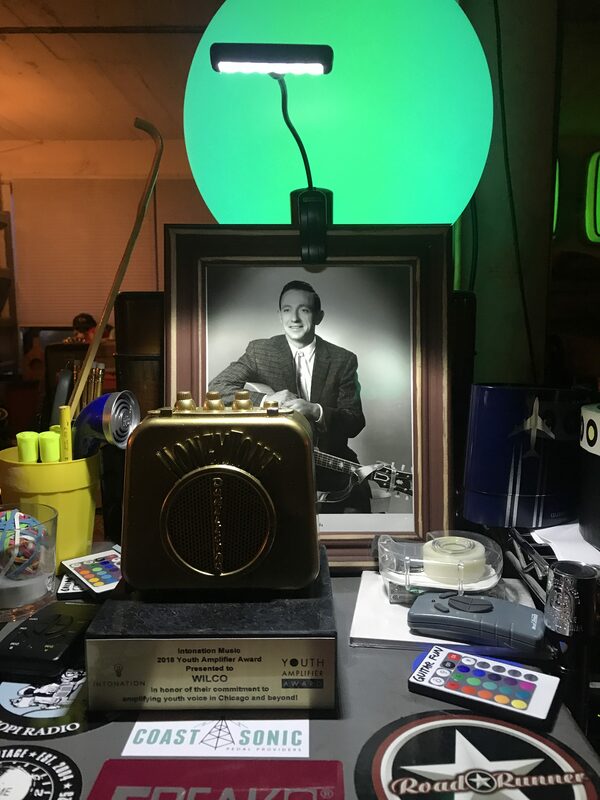 Wilco is our inaugural honoree in 2018. 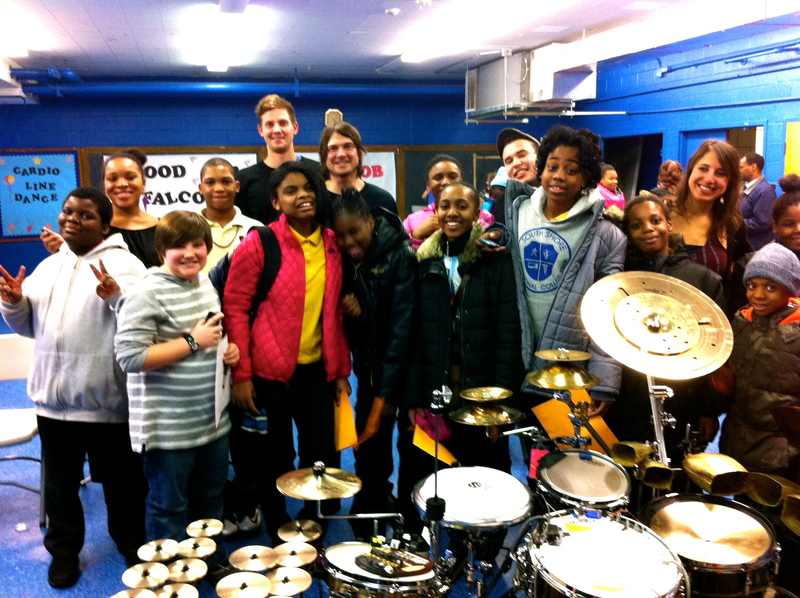 Over the past several years, Wilco has, both as a group and as individuals, raised substantial funds and awareness to move the needle on Intonation’s mission, while generously providing many opportunities for our students to gain hands-on experience in the music industry. 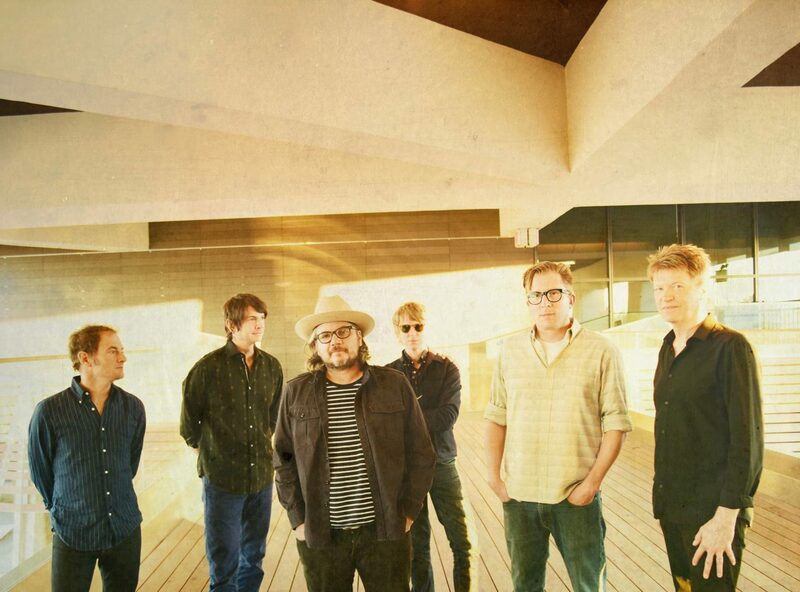 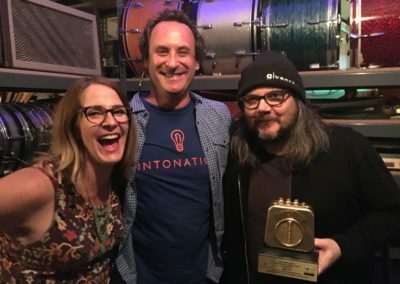 Award Presentation: Intonation will honor Wilco with the Youth Amplifier Award presentation at its annual gala on the evening of Thursday, April 26th, 2018 at Theater on the Lake in Chicago. 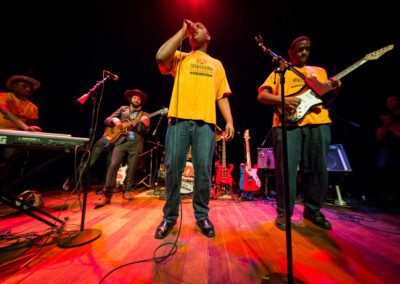 A founding member of the band will be present to accept the award. 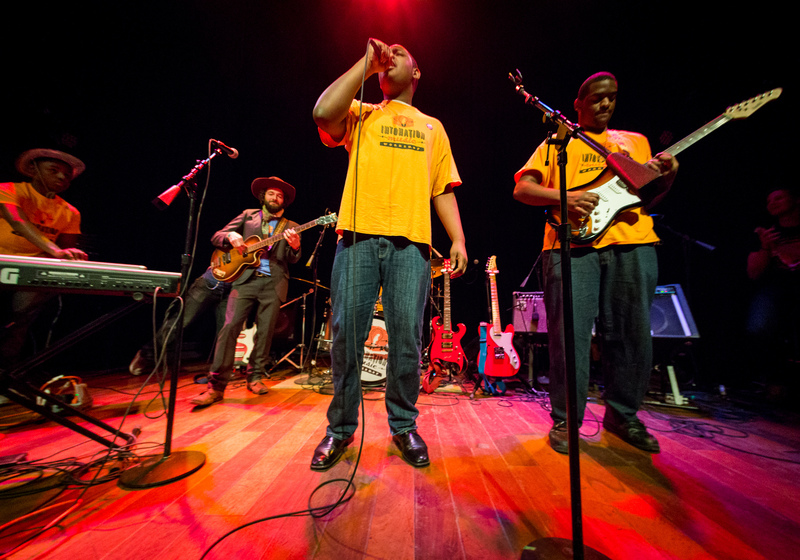 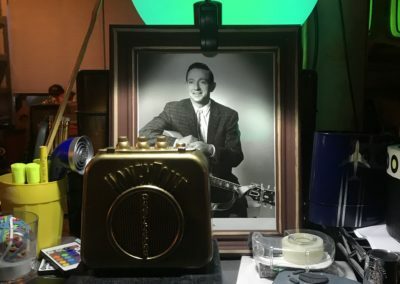 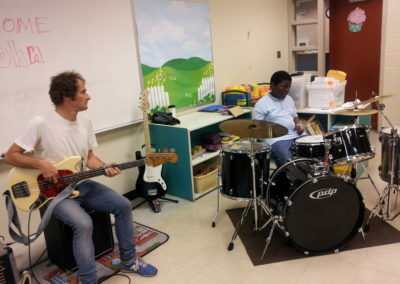 Guitarist John Stirratt offered a Winter Residency with student band White Diamond, which included ten weeks of in-class collaboration, writing and recording an original song together, and a performance at Lincoln Hall. 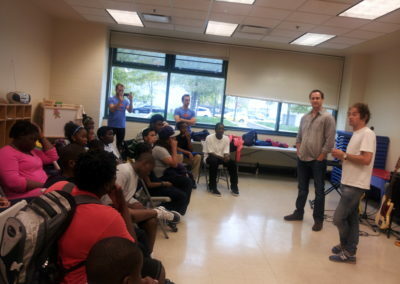 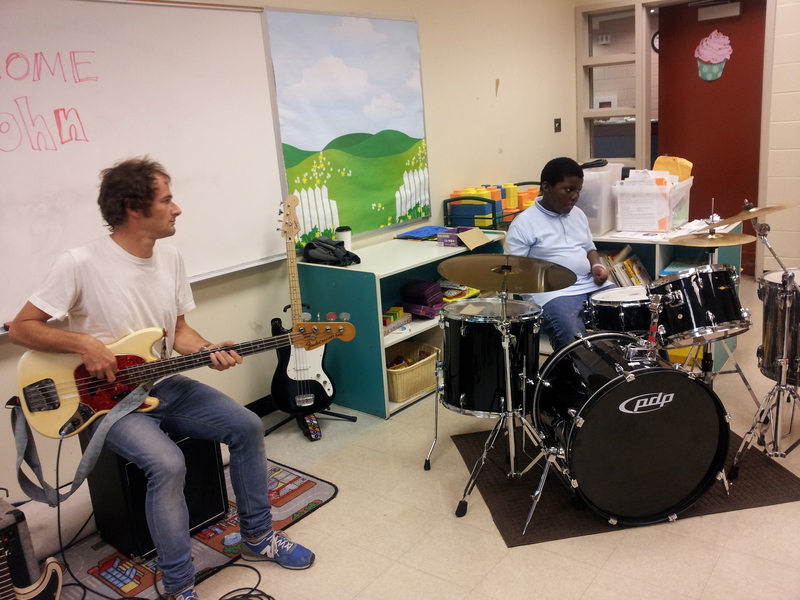 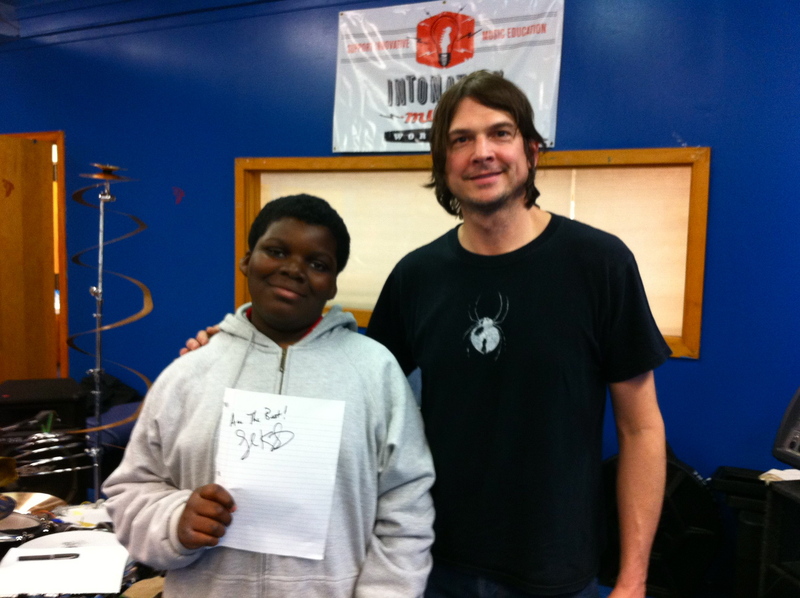 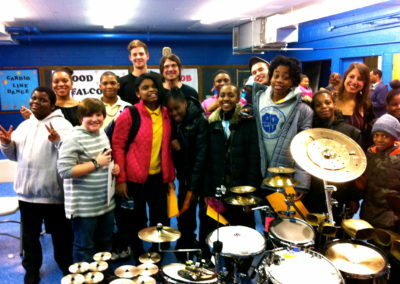 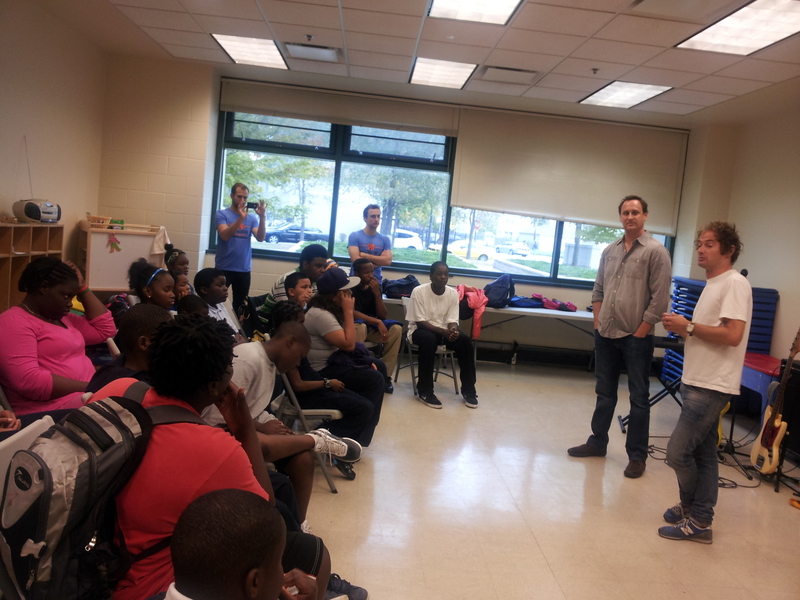 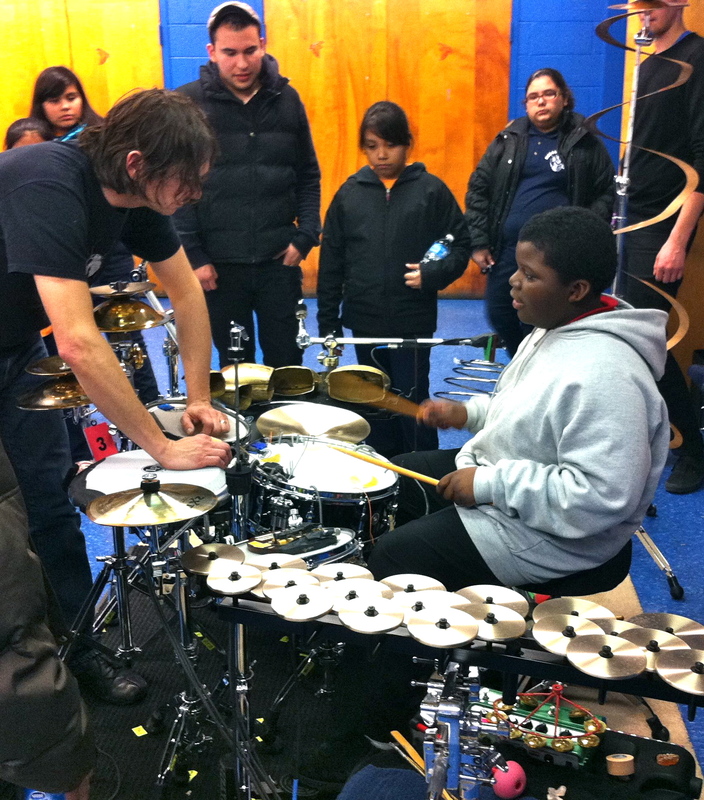 Glenn Kotche held a Percussion Clinic, performance, and Q&A for students at Taylor Park in Bronzeville. 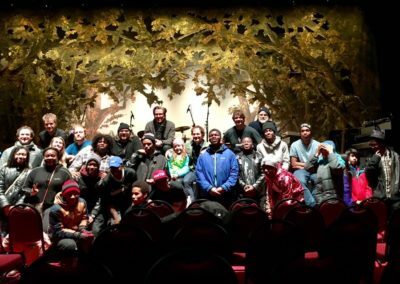 Wilco hosted the Intonation All-Stars students for soundcheck at The Chicago Theatre, giving them a glimpse into the ecosystem of top-tier concert production and insight into the range of potential career paths in the music industry and related fields. 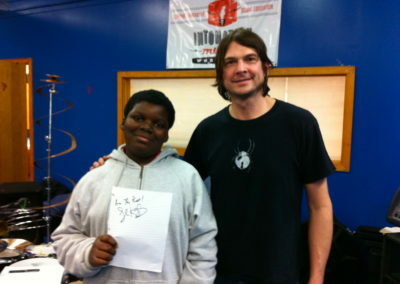 Jeff Tweedy has raised funds for Intonation programs through private concerts at The Loft. 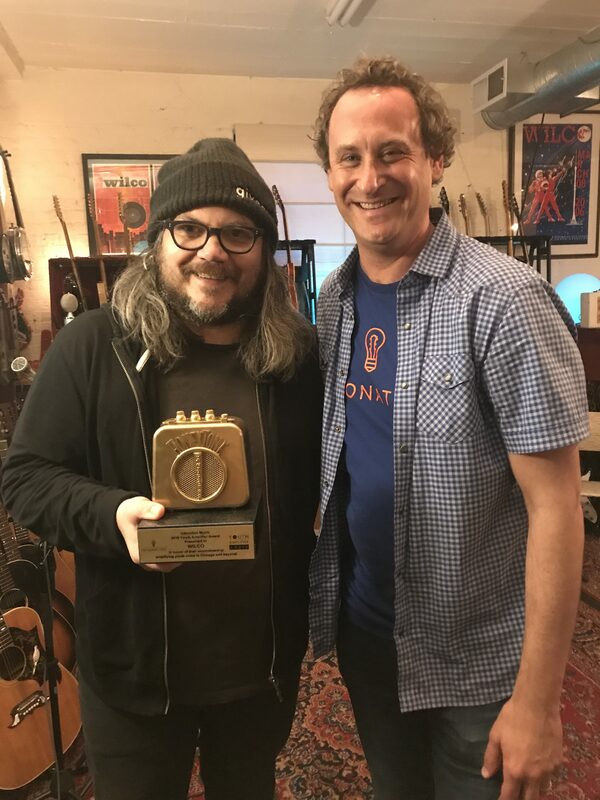 Wilco has also donated signed guitars, concert experiences and other one-of-a-kind items for our annual gala, raising over $175,000 through the years. 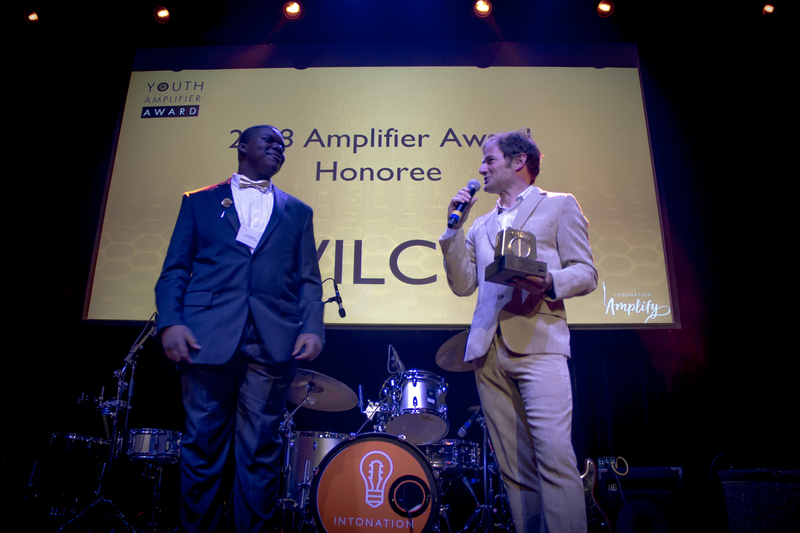 Wilco guitarist, John Stirratt, accepting the Youth Amplifier Award on behalf of Wilco from student Johnathan Campbell at Intonation’s 2018 Gala. 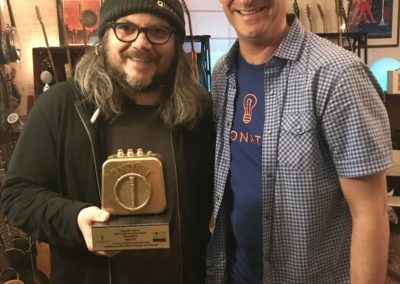 We were excited to deliver our 2018 Youth Amplifier Award to its new home at the Wilco Loft! 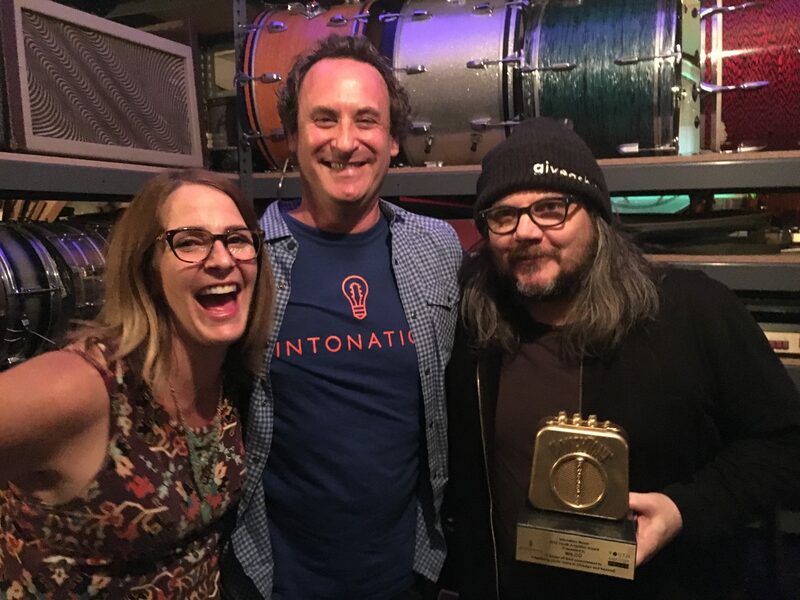 The award was presented to Wilco for raising both awareness and substantial funds to move the needle on Intonation’s mission, while generously providing many opportunities for our students to gain hands-on experience in the music industry.